Sorry Vine fans, today is the day. We’ve known it was coming since Vine tweeted earlier in the month confirming that January 17 was the day the app would close to become a more direct part of the Twitter app. And now it's here. As of today, the Vine app transforms into Vine Camera, a much more limited tool that will allow you to shoot 6.5 second videos and then export them to your camera roll or post them directly to Twitter. Now any video under 6.5 seconds on Twitter will loop whether it’s posted directly to Twitter via the Vine Camera or from your camera roll. As Twitter will be the new home of your loops, Vine is giving you the opportunity to connect your Vine and Twitter accounts to make it easier for your followers to find and follow you across the different platforms. If you want to download your old Vines, you had best move quickly as today is the last day it’ll be possible. We've created a step-by-step guide to help you do it. You can download them via the iOS and Android apps or on the website. If you download via the website the file will include an index.html file that contains your Vine captions, along with the number of likes, comments and revines it received. 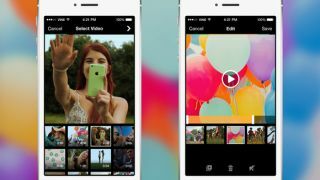 Downloading directly from the app, however, will only save the videos to your camera rolls without any of the captions or social information. The main Vine website will now as an archive for older clips that were created in the app so that you can scroll through them as you please. You’ll also still be able to access your profile as vanity URLs are still active on Vine.co. Vine has stated that users will be informed of any changes coming to the website.